NP’s sees majority of Peds and does all Texas Health Steps. We have formed a collaborative team of healthcare professionals who strive to focus on the quality of care given at Falls Community Hospital & Clinic; who utilize the family atmosphere that sets FCHC apart from other facilities and who deliver care in a timely and compassionate manner. 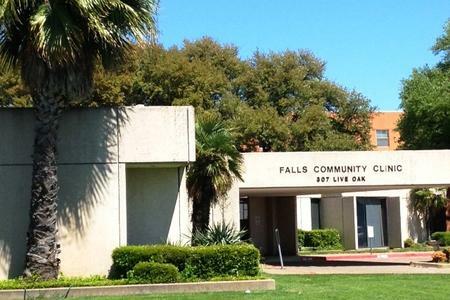 Falls Community Hospital and Clinic is dedicated to providing high quality primary and emergency health care to the citizens of Falls County and the surrounding area. Founded in 1980, Southwest Medical Associates is an established emergency department management group providing services to healthcare facilities throughout Texas. We are known in the industry for specializing in physician staffing for rural hospitals from low to high patient volume. At Southwest Medical, no emergency department task is too large or too small. We customize the coverage of our clients based on their individual needs. This ranges from part-time “as needed” coverage to last-minute emergencies, flexible coverage supplementing staff physician schedules to full-time staffing. The needs of rural hospitals and healthcare facilities are unique, and Southwest Medical understands this. That is why we have been a resource for rural healthcare for more than 30 years. Our Mission: To be the best resource available for quality emergency department and clinic physician staffing at competitive rates; to promote customer service ensuring long term client retention; and creating jobs for dedicated and talented physicians. Falls County (H-18) is located in Central Texas and is surrounded by Limestone, Robertson, Milam, Bell, and McLennan counties. Marlin, the largest town and county seat, is 24 miles south of Waco and 121 miles south of Dallas. Falls County covers 765 square miles in the Blackland Prairie region. The gently rolling terrain consists of broad flatlands, with elevations ranging from 300 to 500 feet, and the Brazos River bisects the county. Over 70 percent of the county contains upland clayey and loamy soil used primarily for pasture and cultivated crops. The rest of the area has deep loamy or sandy and loamy soil which is used for specialized crops such as tomatoes and watermelons. The main natural resource is the land, but there are a few oil and gas wells. Mineral artesian wells in Marlin have made it a health center. Temperatures range from an average high of 93° F in July to an average low of 39° in January. The average yearly rainfall is slightly less than thirty-four inches and the growing season lasts 257 days.